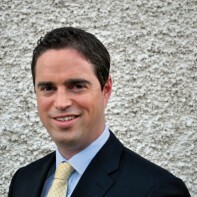 32-year-old Martin Heydon is a Fine Gael candidate for Kildare South. Heydon, who was born and reared in Co. Kildare, is currently a member of Kildare County Council where he has represented the Athy area since June 2009. He is a farmer by profession. Heydon is interested in horse racing and GAA. He is currently secretary of his local football club St Laurences. Well done. Glad to see a ‘new’ face on board.